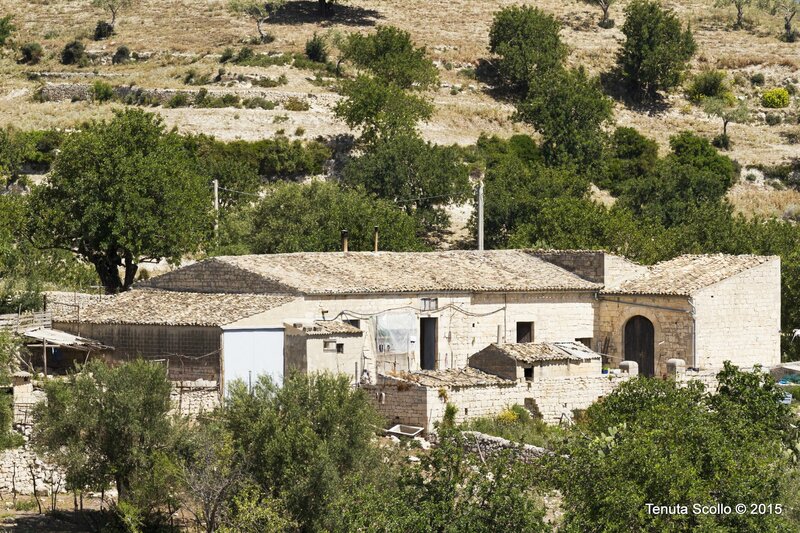 The Scollo estate covers about 280 hectares in Contrada Gisira in the countryside near Modica. It is an oasis of rare natural beauty, a hilly area lying between the Tellaro and Tellisimo rivers. The area where the extra virgin oil is produced is not far from Modica and is part of the Hyblaean Mountains. The special features of this are the drystone walls and terracing, the gently sloping valleys and the spectacular gorges. Nature and the landscape in this vast territory are the background to the history of this sunny Mediterranean land and its civilization founded on agriculture and traditional crops such as olives. The varied colours of nature and the olive groves create a magnificent agricultural scenario full of centuries-old trees. 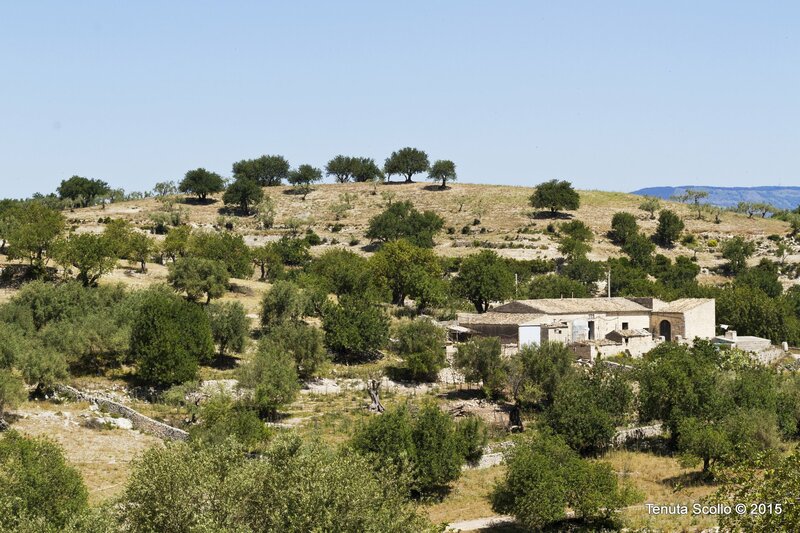 The olive trees are scattered over the hilly terrain alongside carobs and almond trees, typical of the Hyblaean area. In this very special area the cultivation of olives is exclusively and traditionally not intensive. Today the Scollo family’s decision to dedicate their property to the growing of olives and other crops is not taken at random. It is both an ethical and an aesthetic choice, in order to continue an ancient tradition, to safeguard the landscape and nature and to give new value to the area and create new jobs. This is the alternative to abandoning the land and the proof that there are different ways of appreciating our unique heritage – the land. “The land is not an inheritance received as a gift from our grandparents; it is a loan to be paid back to our children.” The company concentrates on olive growing, alongside the cultivation of carob beans, cereals and almonds. 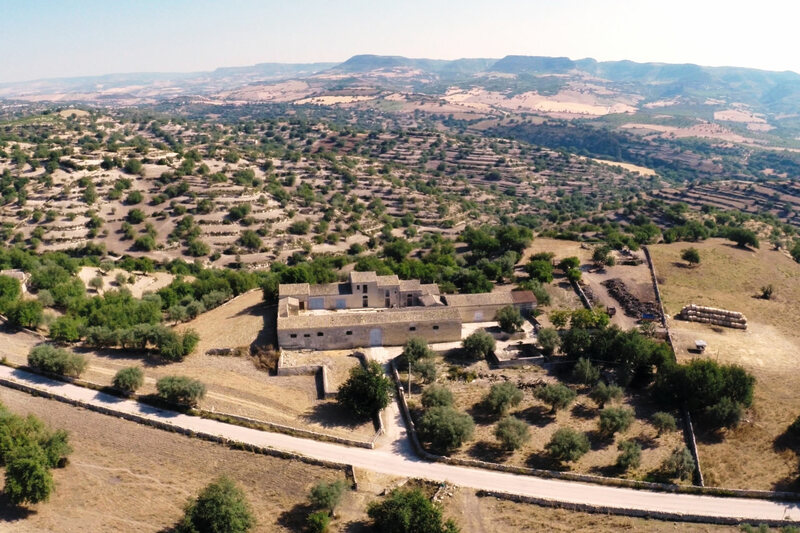 The olive trees are the heart of the company and the varieties cultivated in the olive groves are the traditional indigenous ones: Moresca and Tonda Iblea. The harvest is early in the first days of October and carried out by hand or mechanically. The olives are pressed within a few hours in the mill, in order to get the maximum results from the organoleptic point of view. The continuous search for quality has enabled MODICEO oil to be successful on the local and national market. MODICEO oil was launched as a brand in 2008. A long agricultural tradition in Modica covering four generations since the 1800s lay behind this event. Today MODICEO represents a way of safeguarding the values, history and traditions of this area.